You’ve already begun training your child in the magical arts. You’ve let your little one read every Harry Potter book in existence and now, they’re coming to that age where they can finally begin classes at Hogwarts. It almost brings a tear to your eye, doesn’t it? Just the thought of your little one heading to potions class to craft their very first Polyjuice Potion is enough to fill you with pride. Why, your child could even be sorted into Gryffindor, the noblest Hogwarts House of them all! Naturally, you’ll want to have your little one fully prepared for his live at Hogwarts. You might want help them craft their own wand and you may just want to show them how to cast a spell or two (start with something harmless like Accio). 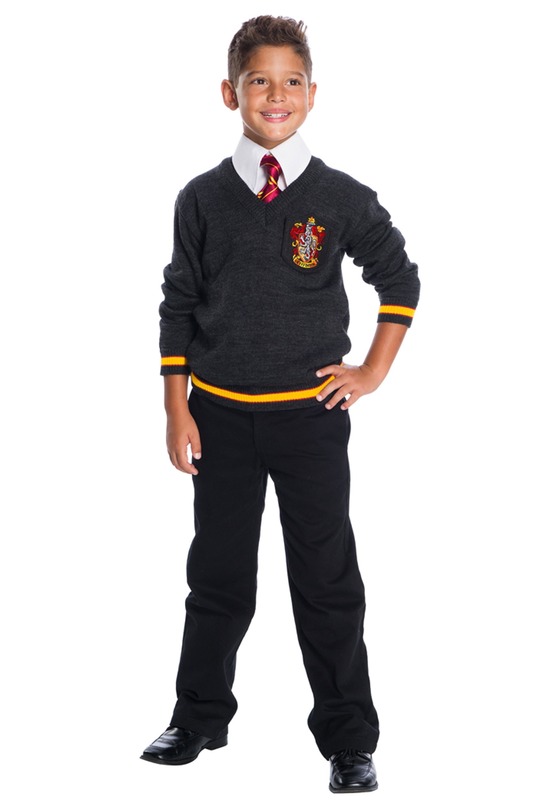 But if you really want to help your little one increase their chances of getting into the house they want, you should start them out with the official uniform of House Gryffindor! 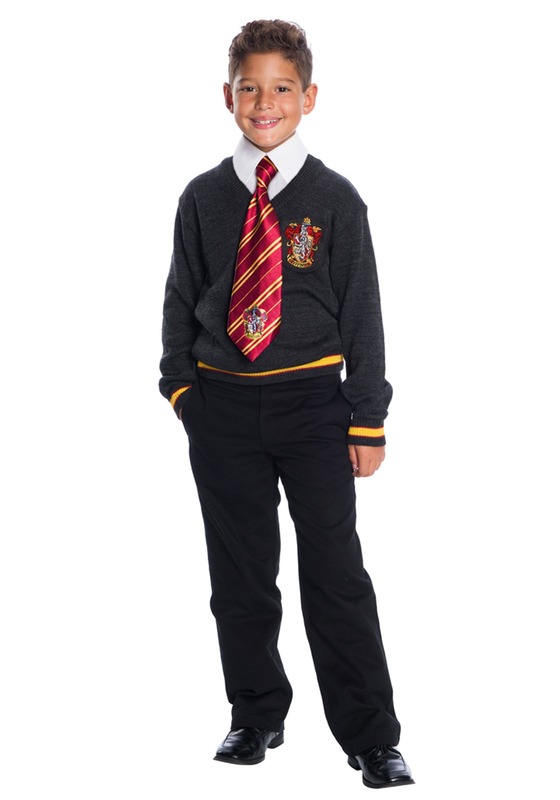 This deluxe Gryffindor Student costume comes with everything your child needs to ensure their entry into House Gryffindor. How can the Sorting Hat argue with kid that’s dressed up in a full set of Gryffindor gear? The included sweater top has the Gryffindor symbol on the front and the signature yellow and red stripes around the sleeves. It also comes with the classic Hogwarts robes with red accents to let the world know that your little one is a true Gryffindor. 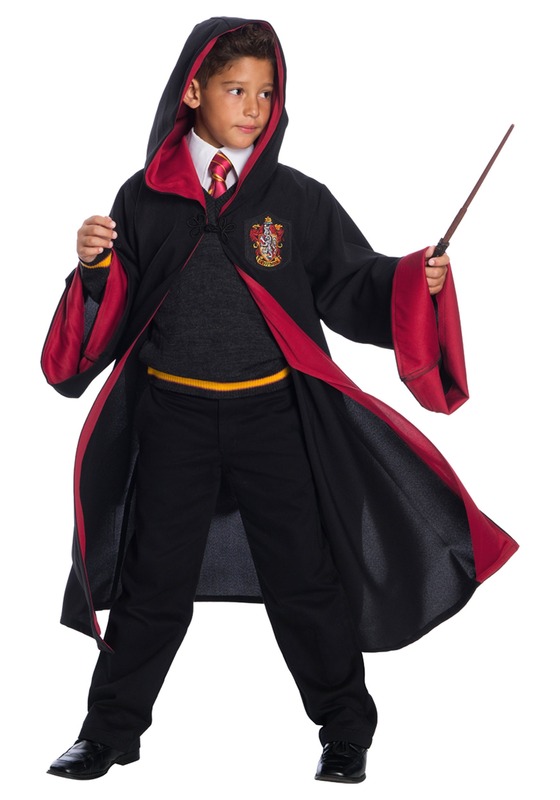 When your child walks up to the Sorting Hat wearing this officially licensed Harry Potter costume, it will have no choice but to send your child to the ranks of Gryffindor. Who knows? Maybe your young one will even be courageous enough to wield the Sword of Gryffindor to save the day against some evil wizard!